Any arterial case, whether for a diagnostic 4-vessel angiogram, coronary catheterization, or transarterial chemoembolization, will require access into an artery, most commonly the right common femoral artery. After the case ends, the artery needs to be closed to achieve hemostasis and prevent further bleeding. The most basic closure "device" is manual pressure for 15 minutes. While this is effective, the downsides include no true closure of the wound in the vessel wall, operator dependence, and limited reliability in patients with large body habitus. This device functions by placing a metallic clip around the arteriotomy. While effective, the drawback is that a permanent device is left within the patient, potentially limiting future access. Remove wire and stylet together, leaving stylet. Fix left hand against patient. Attach StarClose to introducer [#1] and switch left hand to device. With R hand, push [#2] to break the seal and deploy footplate. GENTLY RETRACT DEVICE UNTIL TENSION FELT - footplate now against inner wall. Tilt handle straight up, then push [#4] to deploy clip. Hold manual pressure for 2 minutes. This device is suture mediated. The suture is absorbable, and multiple PerClose's can be used to close larger arteriotomies. Pull back device to free both sutures, then pull through. Remove device. Synch down on suture with short thread. Take knot pusher off long thread and place on both. Repeat motion, but now cut knot. This device functions by placing an absorbable polyethylene glycol plug in the tissue tract above the arrteriotomy. Introduce wire/balloon through existing sheath until white marker. WIthdraw syringe to full negative, open stopcock, and withdraw through pusher device. Verify an appropriate window for the gastrostomy tube on pre-procedure imaging. In particular, make sure that the transverse colon does not lie between the anterior abdominal wall and the stomach. Alternatively, use ultrasound to check for liver margin and a rectal enema to opacify the transverse colon. Check if the patient has a nasogastric tube. If not, using anesthetic gel and a glidewire, a Kumpe catheter can be fluoroscopically guided into the stomach. Have an assistant use the tube to insufflate the stomach. Point the Kumpe straight back with the tip facing down, then flip it 180 degrees to lead away from the trachea. Once the stomach is sufficiently inflated, anesthetize the skin. A good location is midway along the greater curve as the passes will aim towards the fundus. Use a 19G Chiba needle to access the stomach. Once intraluminal position confirmed, direct the needle posteriomedially towards the NG tube (ideally, nudge it under fluoro). 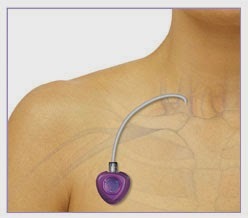 Leading with an 0.035” Amplatz, direct the wire retrograde up the esophagus. An assistant will retrieve the wire from the mouth. Once outside, attach a snare (comes in kit) to the back end of the wire near the stomach and pull the snare through to the mouth. Release the snare from the wire, then tie a hitch knot to the gastrostomy tube. Pull the gastrostomy tube antegrade through the esophagus into the stomach. Store a fluoro image with contrast injection to verify location. Be mindful that a near absolute contraindication to this procedure is any patient with skull base, head and neck, or esophageal cancer / obstruction. Will Watson Compete For Radiology Jobs? Is this realistic, or just some far off pipe dream? Technological aspirations often tend to outstrip technical reality. For example, computer-aided diagnosis (CAD) in mammography has not become a panacea for screening mammograms, and ultimately does not appear to have had a significant impact on the labor demand for mammographers. Anecdotally, mammographers I have spoken with regard CAD as too sensitive, and a potential liability. Sure, the software will pick up the subtle lesion occasionally, but it will pick up many more that are merely normal tissue, but nonetheless force the radiologist to make an active decision to dismiss. What happens if the mammographer decides a positive finding on CAD is negative, but cancer develops later anyway? Unless the software can improve both sensitivity *and* specificity, it may create as many problems as it solves. For argument's sake though, let's say the new technology can improve both sensitivity and specificity. Several open questions come to mind: will the software aid radiologists? Does it seek to replace radiologists? If it does, who takes on liability if the software 'misses' a lesion, as it inevitably will? And who pays for it all? It is hard to see these questions being answered in the affirmative in the current healthcare system, but after seeing ACA pass, it is clear that the environment is not static. If costs start to rise again, and IBM and similar software vendors market themselves well, one could see hospitals giving such systems a try. The tl;dr - money talks and BS walks: if these systems can do the job better than radiologists, they will be used. How can radiologists operate under such potential uncertainty? Instead of ducking the issue, radiologists should work towards simultaneously figuring out how best to employ these systems while also demonstrating the value-add of a physician diagnostic imager both to referring clinicians and to patients. If the face of the radiologist is merely the report they generate, very soon that face may take a very Big Blue complexion. IVC filters can be placed surgically but the vast majority are placed percutaneously. New clot or clot progression on therapeutic anticoagulation. Can be placed from a transjugular or transfemoral approach. 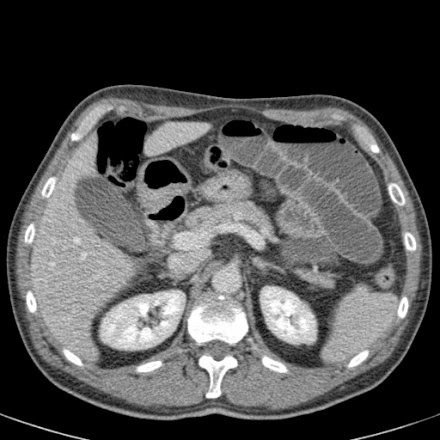 Make sure to check a CT beforehand for variant renal vein anatomy. Access the venous system either via a jugular or femoral approach. If femoral, the vein is 1 cm medial to the artery. Exchange the catheter for the filter sheath, after dilation of the tract. Insert the filter until the feet are at the end of the sheath. Unsheath the filter. Press the button to deploy. Insert the filter until the tip is at the end of the sheet. Unsheath the filter. Bring the red and white torquers together and twist to deploy. Ever look for a gift for that special radiologist in your life? Or just the one you want to tease a little? Check out Raditudes! The store is specifically aimed at radiology and diagnostic imaging related gifts, including t-shirts, coffee mugs, and more! Have feedback or a design idea you would like to see? Let us know! Certain types of IVC filters are retrievable within a 3 to 8 week window after placement. Typically, these were placed for a patient who had a short term need for anticoagulation, but could not be medically anti coagulated. For example, a trauma patient with a head bleed and a long bone fracture going to the OR with orthopedics. The procedure is very similar to IVC filter placement. Access the venous system via a jugular approach. Filters can only be retrieved via the jugular vein. Exchange the catheter for the sheath, after dilation of the tract. Extend the snare from the tip of the sheath and capture the filter's hook under fluoro. With gentle back tension on the snare, advanced the sheath over the filter so until the filter is fully within the sheath. Hold gentle manual pressure over the neck venotomy site. First, researchers at the University of Alberta found someone who could crack his knuckles over and over again, without the long refractory period most people have. Yup, he was multiply crackasmic. Then the scientists put this crack-addict’s fingers into a magnetic resonance imager, watching cracking events as they took place. That’s what’s in the GIF we made you from the researchers’ video. As the bones in the joint separate, negative pressure means gas (likely nitrogen) in the synovial fluid gathers together, resulting in the sudden formation of bubbles—the scientific term for that is tribonucleation. And with that comes the pop. Our results offer direct experimental evidence that joint cracking is associated with cavity inception rather than collapse of a pre-existing bubble. These observations are consistent with tribonucleation, a known process where opposing surfaces resist separation until a critical point where they then separate rapidly creating sustained gas cavities. The research leads one to wonder: what other phenomenon have we been missing on MRI? If a patient has vacuum disc phenomenon in their lower lumbar spine, are they simply in need of a good back massage? Speaking of which, why do massages feel good? Clearly, we need to get a metal-free masseuse into a scanner and see what happens! Bone tumors have several features that are characteristic and can be used to narrow a differential diagnosis for a suspicious lesion. This table is by no means comprehensive but it is meant to be a quick reference for various benign and malignant osseous lesions. The following features are relevant: patient age, lesion borders, location within bone, bones, involved, bone matrix changes, periosteal reaction, matrix mineralization, and soft tissue component. The patients can be divided into two groups based on age: younger than 30 vs older than 30. The lesion borders can be described as a narrow zone of transition (the border is easy to define) vs a broad zone of transition. Periosteal reactions can be described as thin, thick, lamellated, hair-on-end, sunburst, or Codman's triangle. Matrix mineralization is either chondroid (rings and arcs) or osteoid (cloud-like). A soft tissue component is either present or absent. Miller, TT. 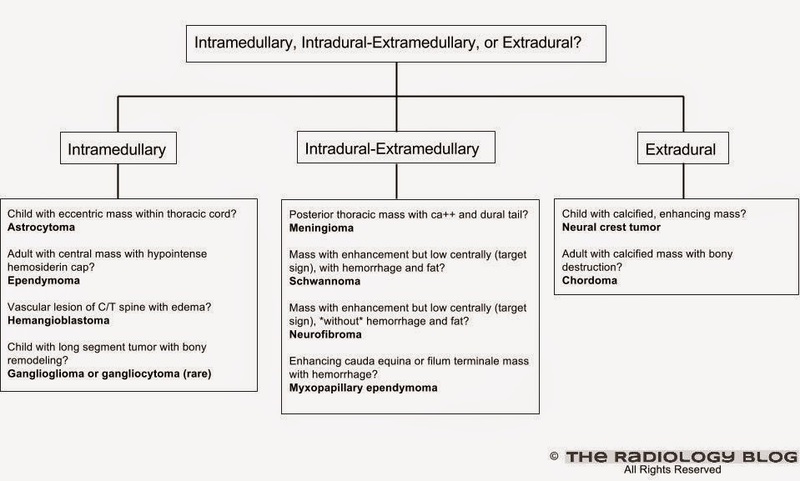 Bone Tumors and Tumorlike Conditions: Analysis with Conventional Radiography. March 2008 Radiology, 246, 662-674. Gastrostomy tubes and their variants can be placed endoscopically, surgically, or percutaneously. The interventional radiologist can help determine which approach is best for patients. In particular, patients with pharyngeal issues, such as head and neck cancers, are good candidates for percutaneous placement. Here is one approach, which utilizes a Wills-Oglesby pigtail gastrostomy tube. Verify an appropriate window for the gastrostomy tube on pre-procedure imaging. In particular, make sure that the transverse colon does not lie between the anterior abdominal wall and the stomach. Check if the patient has a nasogastric tube. If not, using anesthetic gel and a glidewire, a Kumpe catheter can be fluoroscopically guided into the stomach. Have an assistant use the tube to insufflate the stomach. A fastener is used to enter the stomach and pull it up towards the anterior abdominal wall. The introducer needle is used to initially access the stomach. Attach contrast to the needle and advance the needle under fluoro. Watch it tent the gastric wall, and then enter the gastric lumen. Intraluminal position can be confirmed by seeing the needle tip move freely, aspiration of gas, and injection of contrast outlining gastric rugae. Once intraluminal position is confirmed, the fastener is advanced through the needle, the needle withdrawn, and the fastener pulled back to lift the stomach up. If additional fasteners are desired, repeat Step 4. After the stomach is fastened, make a dermatotomy and then pass another needle into the stomach. Confirm intraluminal position as in #4. Pass a 0.035 inch wire into the stomach and watch it coil around the greater curvature past the fasteners. Withdraw the needle and serially dilate over the wire up to the size of the catheter. Work quickly as the stomach will begin to lose gas and deflate. Insert the catheter, withdraw the wire, pull the string to pig the catheter, and inject contrast to confirm final position. Suture the catheter into place. One protocol to clear the gastrostomy tube is to wait one day, then check the patient. If the patient is afebrile, without leukocytosis, and without peritoneal signs, start trial feeds. If the patient tolerates the trial feeds well after another day, clear the tube for full feeds. Wires, catheters, and devices often have many measurements associated with them. These can often be confusing as each type of device uses its own measurement with its own unit. This post goes over some of the basic measurements one may encounter in the interventional radiology suite. Needles, specifically hypodermic needles, are measured in a unit termed "gauge" (abbreviated G). Unlike other measurements, a higher gauge number indicates a smaller needle. The gauge refers to the outer diameter. Typical needles encountered in IR include a 21 G needle to do micro puncture access, a 19 G needle to do direct access or transjugular liver biopsies, and 18 G needles to draw up medications. As an example, a 21 G needle has an outer diameter of 0.03225 in (0.8192 mm) and an inner diameter of 0.02025 in (0.514 mm). For more detailed measurements, see this needle gauge chart. Guide wires are typically measured in inches of thickness. Using the example above for a 21 G needle, one can see that an 0.018 inch wire can pass through a 21 G needle, because 0.018 inches is less than the inner diameter of 0.02025 inches. Similarly, an 0.035 inch guide wire can pass through a 19 G needle. For more detailed comparisons of wires, use this comparison chart to compare up to 5 wires at a time. 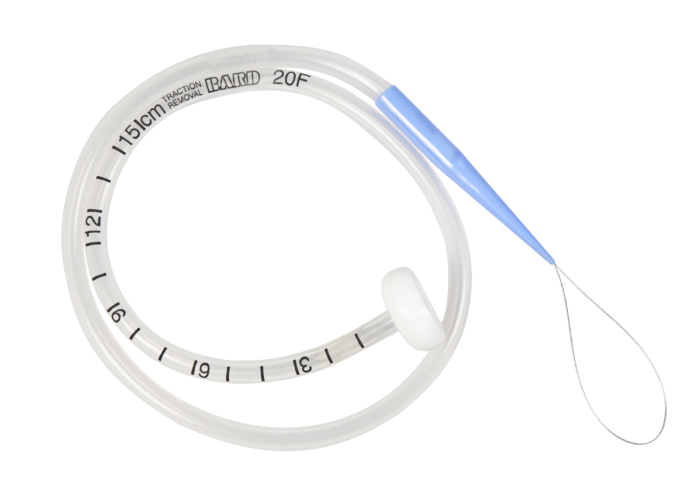 Catheters are often measured using the French scale, often abbreviated "Fr". A catheter of 1 French has an external diameter of 1/3 millimeter (mm). Therefore, a 3 Fr catheter has an external diameter of 1 mm. A sheath is used to stabilize access within a vessel. 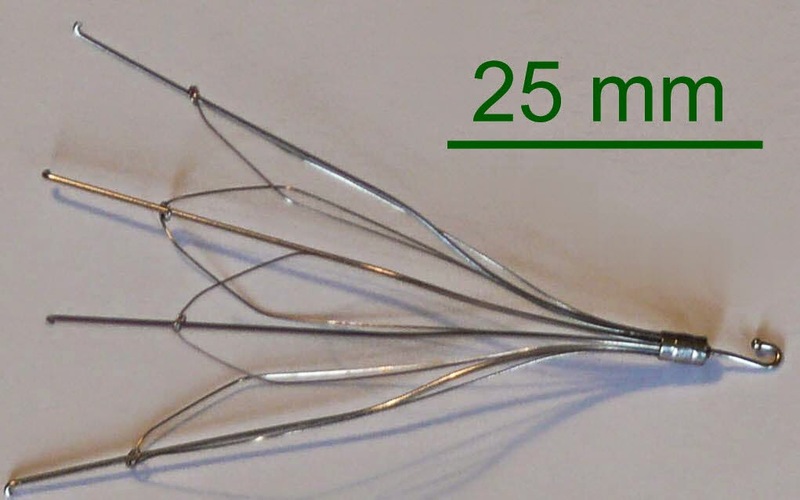 While also using the French system for catheters described above, the designation here indicates the largest French catheter the sheath will accept. So, a 6 French sheath will accept up to a 6 French catheter. Other devices such as coils or TIPS shunts have measurements specific to them, which should be carefully considered before use.